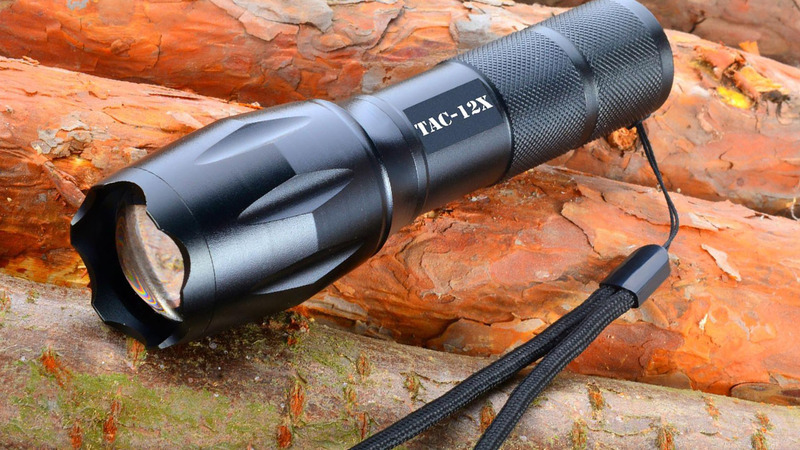 You’ll never be in the dark when you have a TAC-12X tactical flashlight with you! 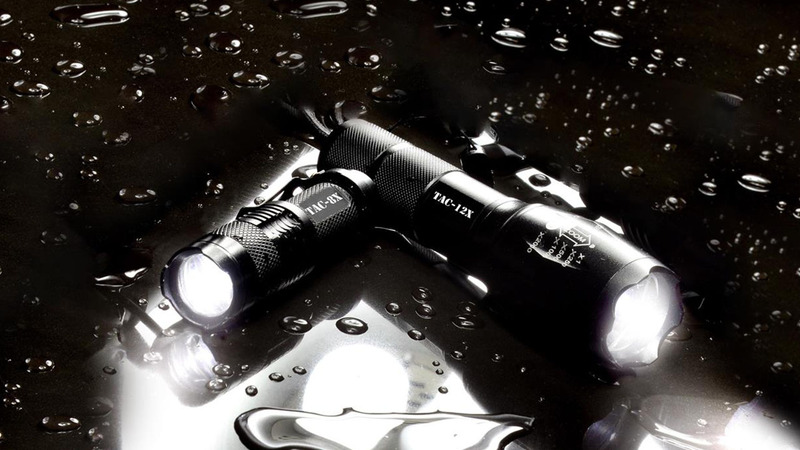 Built with Cree’s XM-L2 LED emitter to generate the most lumens possible in a flashlight of this size - 1,200! The TAC-12X's lamp has a lifespan of 100,000+ hours. Perfect for everyday carry, a bug-out bag, with your fishing and hunting gear, or in your car. Ultra-tough construction from aircraft-grade aluminum means it can take a beating and keep on working. 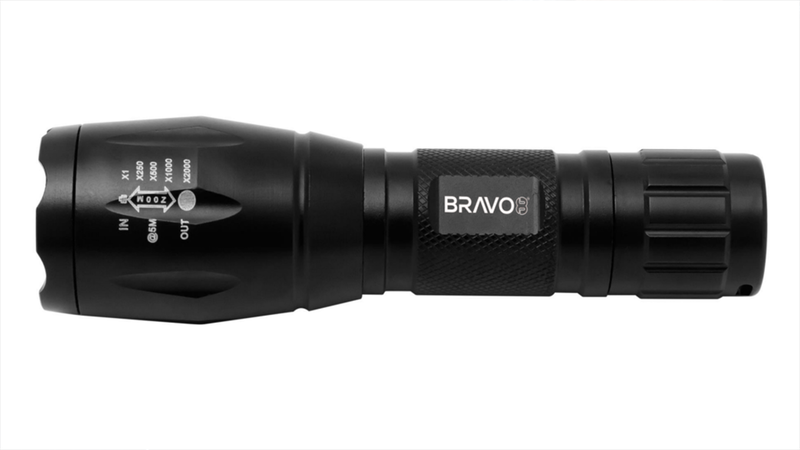 Bravo8’s TAC-12X tactical flashlight is one of the toughest, brightest, longest-lasting flashlights on the market. 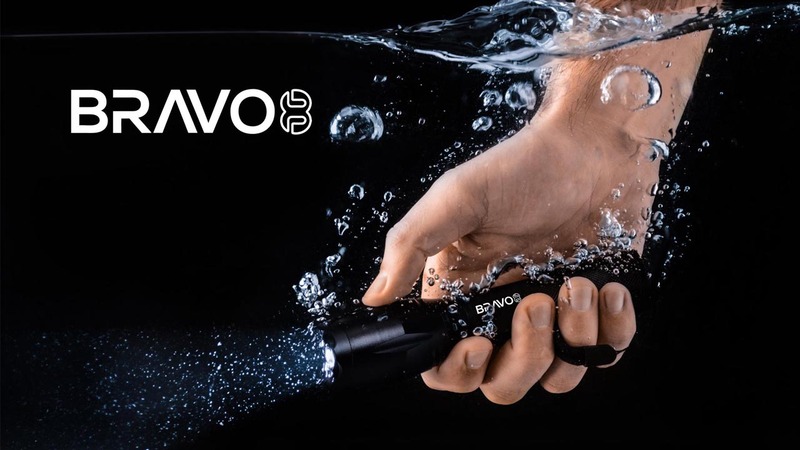 Through a combination of high-quality materials and unprecedented engineering, this 1000+ lumen LED flashlight is ready to light up any situation. It’s perfect as a backup for members of the military, police officers, or for anyone who needs to maintain situational awareness. 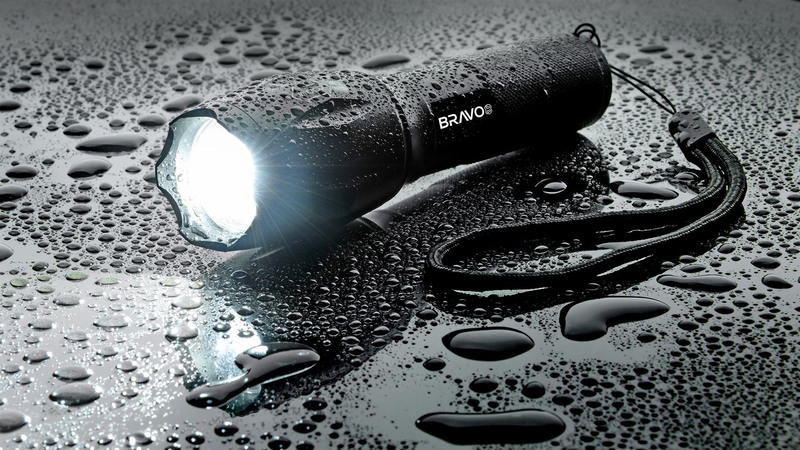 Our tactical flashlights have proven themselves to be tough and reliable when you need them most, so grab one today.